By Hongkiat Lim in Internet. Updated on May 8, 2018 . In this article, we’ll show you some of the most useful bookmarklets for designers, developers or even if you are a net surfer, they might just come in handy. Installing a bookmarklet is simple – all you need to do is drag them to your bookmark toolbar, that’s all. Hassle-less installation – Installing a bookmarklet is simple. All you need to do is drag it up to the bookmark toolbar. To remove them, just right click on it and hit delete. No updates – Most plugins require update especially when there is a new version of the browser. Boomarklet on the other hand, are less likely to require an update. Facebook – Share links in Facebook. Stumble Upon? – Check if a site/page has been Stumble Uponed. Tumblr – Share images on Tumblr. Shorten URL – In this case, we use bit.ly’s shortening bookmarklet. Click here for a list of URL shorteners with bookmarklet scripts. Kwout – Make a screen shot of any website you are in with Kwout. Print Screen – Another print screen bookmarklet. By Aviary. Browsershot – Get a browsershot printscreen of any website. Better Readability – This bookmarklet cleans up the page, leaving you with nothing but clean content for better readability. You can create a customized version at Arc90 Lab. Tidy Read – Tidy up your page for better readability. Remove bloat– Remove all occurrences of Flash, Java,and other third-party iframes. Edit Website – Allows you to edit any websites you viewed. Original display will be restored upon refresh. Customize Print – Allows you to customize the layout, fonts, colors, etc before printing a webpage. By printwhatyoulike. Download as PDF (Firefox) – Convert and save page as PDF. Click here for bookmarklets of other browsers. By pdfdownload. Download video – Supports YouTube, Google Video, Metacafe, Myspace, Break.com, Putfile, Dailymotion, Sevenload, MyVideo.de and Clipfish.de. Zap Cookie – Removes cookies set by the site, including cookies with paths and domains. 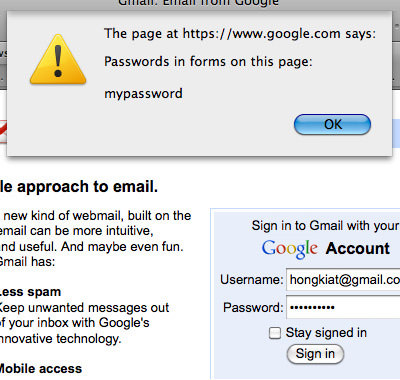 Show Password – Set a password and forgot? This bookmarklet takes in your ***** from form field and output you the actual password. Site Info – A bookmarklet that gives you information (advertising network, platform, widgets, etc) of the website you are currently viewing. By sitonomy. Site Info – Another bookmarklet to find site info By Buildwith. Domain owner – Tells you who own the domain of the site you are viewing. Delicious – Shows you who, how many people bookmarked the site in delicious. Alexa – Shows you the Alexa ranking of the site. Compete – Shows compete.com ranking. Technorati – Find out more information about a particular blog. 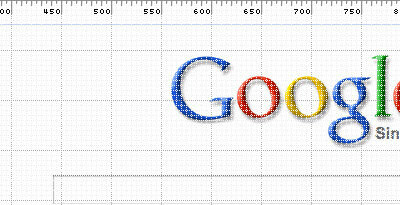 Click here for more Technorati bookmarklets. AttentionMeter – Gives you the Alexa, Quancast, Crunchbase, Alexa and Technorati ranking of the site in a lightbox. Uptime Check – Check if a website is down for everyone or just you. By downforeveryoneorjustme. Aardvark – Aardvark is a Firefox plugin that gives you HTML element details like ID, class, image, position, etc of the page you are viewing. Good news is, it also comes in bookmarklet format. 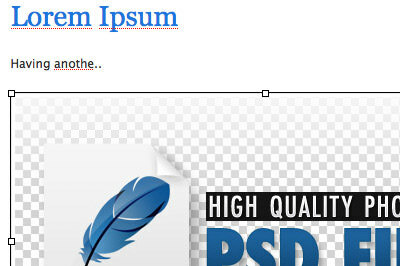 Layout Grid – Applies a layout grid image to the body of the page. Test Selectors – Test and play with selectors. By Westciv. Spry Media – Created by Spry Media, this bookmarklet allow you to view a page in grid view, with ruler measurement, measuring points with units and much more. XRAY – See box model for any element on any site. By Westciv. Reload CSS – Reloads CSS every 2 seconds. Useful for those who’s constantly editing on the design and need a fresh look at the effects. Validate RSS – Check site RSS validity with feedvalidator.org. Validate CSS – Validate site’s CSS. More CSS bookmarklets – View CSS, List Compute CSS. Validate HTML– Check if site is using valid HTML based on w3.org. More HTML bookmarklets – Show tables, Show table headings, Show table cells. These following bookmarklets allow you to quickly translate a webpage from one language to another using Google translate. You can also try this Auto Detect Language bookmarklet, or visit unusualbookmarklets for a complete set and various methods of translation bookmarklets. How to Efficiently Manage Your Collection of Bookmarklets – Efficiently manage bookmarklets across all browsers and computers. Translation Bookmarklets – Great list of various translation bookmarklets. howtocreate.co.uk – More bookmarklets for designers and developers. 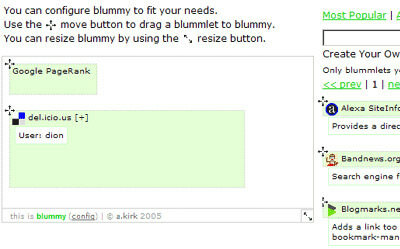 Blummy – Organize your bookmarklets, by Blummy.com. webreference.com – How to create Bookmarklets. 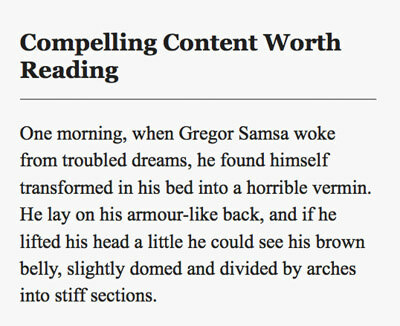 PimpMySafari – Great collection of bookmarklets for Safari browser.